El Sauce - El Sauce, Patagonia, Argentina. Follow us! Become a Fan! El Sauce is a small town about 600 inhabitants, located 160 kilometers from Neuquén capital city and 25 kilometers west of Picún Leufú. It is part of a building committee composed of people of approximately the same size and number of inhabitants as China Muerta and Cerro Horqueta (spawning area), Marifil Association (Mapuche community), Limay Centro, Paso Cortez, Villa Unión and Cerro del León. School N° 177 of El Sauce. The old settlers tell that the town is named after the first settler who came to this area, all he found was a desert camp and in the midst of a lonely area it highlighted a willow and a stream (stream Picún Leufú), which with over the years and the work of the early farmers and stockbreeders pioneers became in the valley that is today. You can access the area by the National Route 237 and junction with Provincial Route 20, from there you make some 25 km to arrive. Most places close to El Sauce are characterized by similar flora and fauna. We're talking about wild plants such as creosote bush, gobbles, thyme, alpataco, glass, ragwort, and so on, that are used as home remedies and mainly for livestock feed to replace forage (corn, grass, etc.). The fauna consists of tyoical Patagonian animals like the rhea, piche, furry, fox, skunk, boar pig, ferret, mara (Patagonian hare), European hare, wild rabbit, Muscovy duck, black necked swans, herons and also the cougar is included that in recent years is settling here in this area. El Sacue has the Provincial Corn and Humita Festival that is held every year in the second week of March. It is one of the best festivals in the province of Neuquen, in its fifteenth edition, made in 2009, it was declared of Cultural Interest by the Senate of the Nation. It features a native shows such as the riders and the various rodeo skills, recitals by prominent regional and national groups and of course it play a role by local artists and folk dance groups. In this festival you can see various booths of crafts and food, where you can delight all varieties of typical local foods (such as billy goats and lambs on the spit, the famous tamales, pies, etc.). It is basically an agricultural - livestock town. It counts within the micro enterprise economy with a working poultry in which work producers in the area. You can make excursions to Meza Hill, a plateau area ideal for climbing and has a panoramic view where you can see the valley from the Limay center to a village of Picún Leufú. 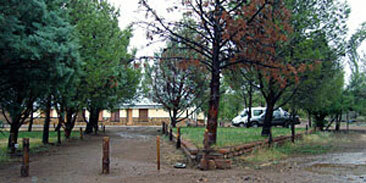 It is accessible by car to nearby area and is ideal for horse venture. Another option is the Canto de la Mañana Hill, whose name is because it is the first hill that lights the sun at dawn. This is ideal for walks and its location allows a view of the river and valley. You can also visit the stream Picún Leufú (Limay Centro spot) and the Shack in Paso Cortéz. El Sauce has an area of ​​petrified forest 10 km away, where there are pieces of petrified trees over thousands of years scattered in various large sizes and shapes. The Corn and the Humita have their festival 1Each year in the month of March, the Provincial Corn and Humita Festival is held in El Sauce. One of the most popular festivals in the province of Neuquén.